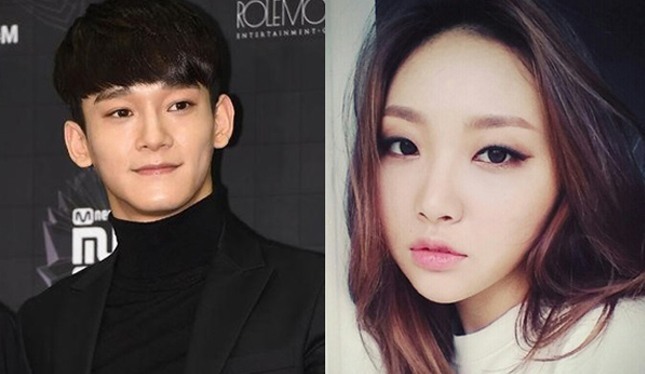 One of the soundtracks of the upcoming KBS 2TV’s drama series “Descendants of the Sun” will feature boy group EXO’s member Chen and rookie female rapper Punch. 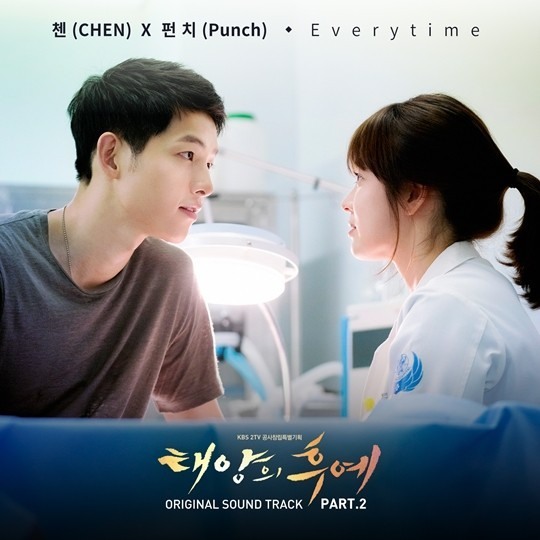 “Everytime,” sung by Chen and Punch will be released on Wednesday midnight. Its teaser clip featuring two protagonists of the series, Song Joong-ki and Song Hye-kyo, was revealed on Monday. The first episode of “Descendants of the Sun” will be aired on Korean TV network KBS 2TV and Chinese online video platform iQiYi on Wednesday at 10 p.m. local time.